Jeremy is a deep learning and machine learning researcher, developer, educator, and tinkerer with a wealth of experience building AI systems and helping others build them too. 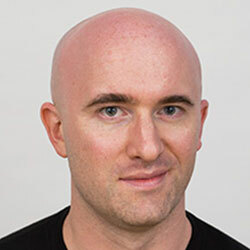 He has co-authored a university-level textbook on the subject called Machine Learning Refined (published by Cambridge University Press in 2016, much of which is available online at www.mlrefined.com), and has taught a wide range of courses on machine learning, deep learning, and mathematical optimization at Northwestern University. He is also a co-founder of Degree Six (www.dgsix.com), a Chicago-based consulting firm providing machine learning / deep learning software development and training services to businesses large and small.